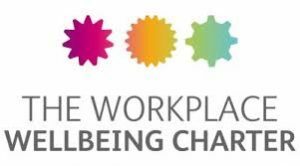 We are delighted to secure the Workplace Wellbeing Charter which demonstrates our commitment to health, safety & wellbeing in the workplace. We would like to thank the team at Health at Work who assess employers here in Liverpool City Region and help develop the key policies required to achieve Charter status. Contact Health at Work for more details. No Guru continues to promote Health, Safety and Wellbeing through the Charter and our online suite of training courses at www.noguru.co.uk , in addition to our core activities of leadership, management and staff development courses and programmes.